Our small, dynamic team is passionate about public education and providing students and educators in the public education system with opportunities that transform their lives. David Hetherington is the Executive Director of the Public Foundation. He spent 10 years as the founding Executive Director of the progressive think tank Per Capita, and has also worked at the UK’s Institute for Public Policy Research and with LEK Consulting in Sydney, Munich and Auckland. David has authored over 100 reports, book chapters and opinion pieces on a wide range of economic and social policy issues. His work has appeared in The Guardian, The Economist, The Sydney Morning Herald, AFR and The Australian, and he is a regular commentator on ABC TV’s The Drum. He has a BA with First Class Honours from UNSW and an MPA with Distinction from the London School of Economics, where he won the George W. Jones Prize for Academic Achievement. 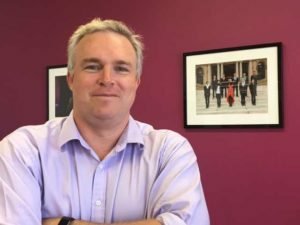 David has two children at NSW public schools and is on the executive of his school’s P&C. Prior to joining The Public Education Foundation, Ali worked as the CFO for an SME and as an Area Accountant for Flight Centre. She has a Masters in Professional Accounting from UNSW and is currently studying for the CPA program. 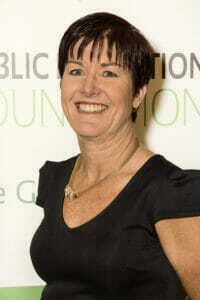 Ali volunteers at her children’s public school and is currently the President of the school’s P&C Association. Melanie has extensive experience in the communications field having worked as a journalist, producer and researcher for a number of print and broadcast networks. 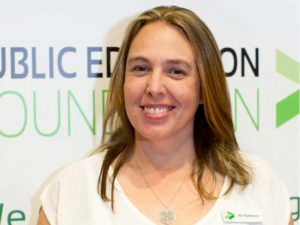 Prior to joining the Public Education Foundation team, Melanie worked at SBS TV as an award-winning producer and research. She also managed a number of academic and not-for-profit projects in the international relations and refugee fields. Melanie has a Master of Arts Degree from Sydney University, majoring in Asian Studies and Education. She is a proud product of Australia’s public schooling system and continues to promote the great virtues of public education. Craig has worked in the entertainment industry for over 30 years and during this time has become a sought after choreographer, event manager and event producer. 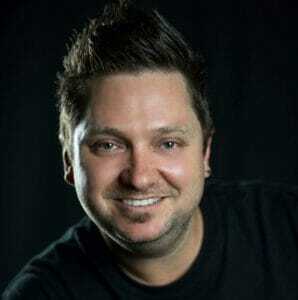 With experience in creative concept development, performance, stage management and event execution, Craig’s work has won him a database of prestigious clients including ABC for Kids, Sydney Royal Easter Show, Kids Day Out, Schools Spectacular and many more. In 2013, Craig was nominated for “Young Australian of The Year” for his contributions to the community. Karen previously worked in the Finance Sector as a software testing specialist. She now brings her eye for detail to the Public Education Foundation as our Scholarships Administrator. She was the Treasurer of the P&C during her daughters primary school years, and is on the executive of her high school’s P&F.